Summit Consulting was founded in 2003 in Ottawa by head coach Nicholas Vipond, with the goal of providing athletes the coaching and mental training skills they needed to perform at their best. Summit Consulting introduces Nicholas Vipond, as head coach and lead consultant. Nicholas holds a Bachelor of Science degree, with Honors in Human Kinetics from the University of Ottawa and a Master of Arts degree in Consulting and Intervention in Sport, Health and Exercise, also from the University of Ottawa. 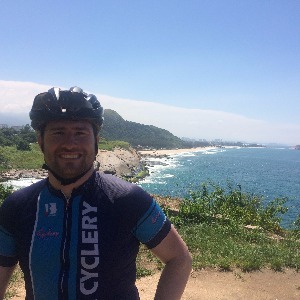 He is a NCCP Certified Competition Development (Level 3) Cycling coach, with over 15 years of coaching cycling athletes across, MTB, Road, Cyclocross and Track. Over these year he has worked with athletes from youth right up to professional athletes. Nicholas Specializes in building individual training plans that push athletes to achieve their goals. He was worked with many athletes to not only improve their physical fitness but also their technical skills through specific skills training. Nicholas' mental training consulting experiance includes working with athletes across a wide range of sports and different levels of sport. Nicholas’ background includes several years of competing at the national and provincial levels in both nordic skiing and cycling, and currently competes in cycling, but enjoys many other recreational sports. Nicholas’ education and experience as both an athlete and a coach make him an excellent resource for other athletes and coaches who are looking to pursue excellence in their own performance domain. Success. Coach Nicholas Vipond has been notified of your message.